A lot of academic research has been done on a safe withdrawal rate from retirement savings. How much can you comfortably withdraw without running the risk of using your money up too soon? The traditional withdrawal approach uses something called the 4-percent rule. This rule says that you can withdraw about 4 percent of your principal each year, so you could withdraw about $400 for every $10,000 you've invested. But you wouldn't necessarily be able to spend it all. Some of that $400 would have to go to taxes. If this is the only way you're looking at how much you can spend in retirement, you’re doing it wrong. Calculating a safe withdrawal rate is a good conceptual idea, but it doesn't consider strategies that can increase your after-tax income. You may be leaving money on the table by using only a withdrawal rate as a guideline. Think in terms of a timeline and figure out when it makes sense to turn certain sources of income on or off. One of the biggest factors you’ll want to consider in developing a retirement withdrawal plan is the amount of after-tax income that will be available to you over the course of your retirement years. For example, traditional thinking says that you should delay withdrawals from your IRA accounts until you reach age 70½ when you must begin taking required minimum distributions. But this rule of thumb is often wrong. 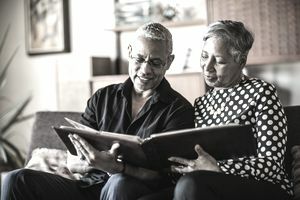 Many couples—although not all—have an opportunity to increase the amount of after-tax income available to them by taking IRA distributions early and delaying the start date of their Social Security benefits. Then they can reduce what they're withdrawing from retirement accounts when Social Security begins. It means that some years you might withdraw much more from investment accounts than other years, but the end result is typically more after-tax income. You'll also want to spend some time studying historical rates of return so you can understand how the rate on your investments will affect how much you can withdraw in retirement. You might get 20 years of great returns, or you might hit an economic period where interest rates are low and stock returns are in the single digits. You can hedge against poor returns when you use your retirement withdrawal plan to match investments with the point in time when you'll need to use them. For example, if it makes more sense to take income out of your IRA early on, you'll want the amounts that you'll need in the next five years to be placed in safe investments. On the other hand, that money has a longer time to work for you and can be invested more aggressively if your withdrawal plan shows that it's best for you to delay IRA withdrawals until age 70½. This process of matching investments to when you'll need them is sometimes referred to as time segmentation. It will be important to track your withdrawals against your original plan at the time your withdrawal plan is designed, and you'll also want to update your plan from year to year. Taking out too much money too soon can obviously cause you problems later. We'll use the example of Susan, whose investments did very well through her first few years of retirement. She insisted on taking out a lot of additional money during those years. She was warned that her plan had been tested against both good and bad investment markets and that she would be jeopardizing her future income by taking out these additional profits early. Rates of return in excess of 12 percent don't go on forever, so she should have banked those excess returns to enable her to use them in years when the investments didn't fare as well. Susan nonetheless insisted on taking additional funds out immediately, and the markets went down a few years later. She didn't have those additional profits set aside and her accounts were severely depleted. She ended up living on a strict budget instead of having some extra "fun" money. Monitoring how much you withdraw in retirement against a long-term plan is important. You want a secure retirement income. Having a plan and measuring against it will accomplish this goal while answering the question of just how much you can withdraw in retirement. Create a retirement income plan and consult with a retirement planner or tax advisor who can calculate the after-tax impact of your proposed retirement account withdrawals.